Funding Will Help OASAS Certified Outpatient and Opioid Treatment Providers Secure Approximately 120 Nurse Practitioners and 50 Certified Peer Recovery Advocates. Albany, NY - October 18, 2018 - Governor Andrew M. Cuomo today announced $5 million in state funding is available to support the recruitment and retention of Certified Recovery Peer Advocates and nurse practitioners to assist New Yorkers suffering from addiction. The New York State Office of Alcoholism and Substance Abuse Services will award up to 170 grants to certified outpatient and opioid treatment providers to help secure approximately 120 nurse practitioner and 50 Certified Peer Recovery Advocate positions across the state. "The scourge of addiction has devastated families and communities across this state and this nation, and we will continue to provide the necessary prevention, treatment and recovery services to help New Yorkers suffering from this deadly affliction," Governor Cuomo said. "This funding will help ensure New York addiction treatment programs have the professionals and advocates they need to provide these critical life-changing resources to those who need it most." "This funding will help to ensure opioid treatment providers have the staff they need to help New Yorkers struggling with addiction," said Lieutenant Governor Kathy Hochul, Co-Chair of the State Heroin and Opioid Abuse Task Force. "We are continuing to make significant investments in resources and services to help combat the opioid epidemic that plagues communities across the state. These treatment programs are critical with helping individuals and families battling with drug abuse lead healthier and safer lives." 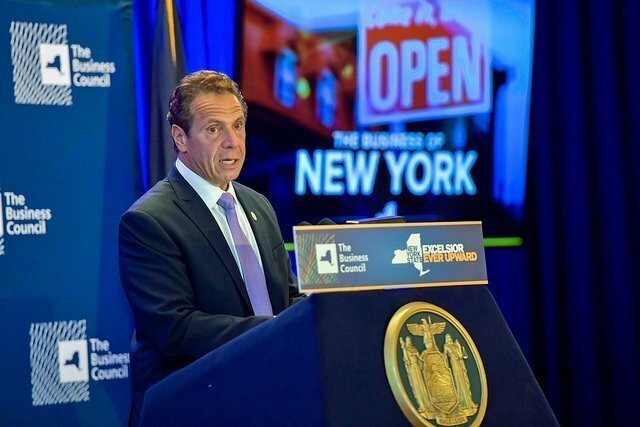 The availability of this funding supports the Governor's ongoing efforts to increase support for New Yorkers in obtaining services needed to recover from substance abuse, while also fighting the broader battle to combat addiction. Administered through OASAS, eligible outpatient and opioid treatment programs may apply to receive one-time funding of $25,000 for the recruitment and salary needs for a nurse practitioner position. Eligible outpatient programs may also apply to receive one-time funding of $40,000 for a Certified Peer Recovery Advocate position. Providers operating more than one certified outpatient or opioid treatment program may apply for up to four awards. The funding will be made available through a Request for Applications administered by OASAS on October 17, 2018. Applications will be accepted through November 7, 2018. Interested parties can review the Request for Applications on the OASAS website. Office of Alcoholism and Substance Abuse Services Commissioner Arlene González-Sánchez said, "For individuals to have a fighting chance against addiction, we must provide them with as much assistance as we can throughout every phase of their care. This funding will be critical in helping us provide essential services for those seeking our help where and when they need it." Senator George Amedore, Chair of the Senate Standing Committee on Alcoholism and Substance Abuse said, "Peer advocates and certified professionals who can help those struggling with addiction navigate the system and get the services they need are so important to help people get back on the right track. These grants ensure inpatient and outpatient programs are able to recruit and retain these valuable positions." Assembly Committee on Alcoholism and Drug Abuse Chair Linda Rosenthal said, "If we are going to turn the tides in the fight to save lives from opioid overdose, we need more boots on the ground, working to connect people with supportive services and interventions. Peer advocates build deep connections with those struggling with substance use disorder, based on trust, mutual understanding and respect. They have been proven effective tools in battling the opioid epidemic, and I am pleased to see resources being committed to expanding their reach." Since taking office, Governor Cuomo has instituted an aggressive, multi-pronged approach to addressing the opioid epidemic, creating a nation-leading continuum of addiction care with full prevention, treatment, and recovery services. To combat this epidemic, the Governor has worked to expand access to traditional services, including crisis services, inpatient, outpatient, and residential treatment programs, as well as medication assisted treatment, and mobile treatment and transportation services. In 2016, Governor Cuomo's Heroin Task Force recommended new, non-traditional services, including recovery centers, youth clubhouses, expanded peer services, and 24/7 open access centers, which provide immediate assessments and referrals to care. These services have since been established in numerous communities around the state and have helped people in need access care closer to where they live. The Governor has advanced legislative and regulatory reform to enable individuals suffering from addiction to get treatment faster by eliminating many insurance restrictions. Additionally, the Governor advanced legislation to reduce most opioid prescriptions from 30 days to seven days, and legislation to increase training and education for prescribers. Governor Cuomo has also taken action to combat patient brokering and fraudulent addiction treatment services. Subject: LongIsland.com - Your Name sent you Article details of "Governor Cuomo Announces $5 Million Available to Recruit Vital Personnel Needed to Assist New Yorkers Seeking Addiction Treatment Services"